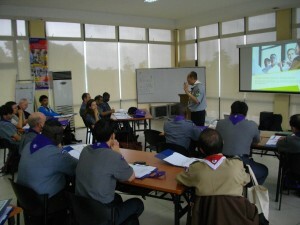 (WSBERO/Punta de Fabian) – Responding to its new strategy of using a consultancy approach when providing support to National Scout Organizations (NSOs) in their development and growth, the World Organization of the Scout Movement (WOSM) currently conducts the “Consulting Skills Workshop: Building Internal Consultants” at Punta de Fabian Resort, in Rizal Province, Philippines. This is the first time that the World Scout Bureau runs this type of workshop and the Asia-Pacific Region has taken the initiative to plan and host this event, with key volunteers and staff from five Regions as well as from the Central Office. Participants from NSOs in Australia, Indonesia, the Philippines and Singapore as well as several European NSOs also attend. The Institute of Training and Development (ITD), a professional consultancy institution from Malaysia, conducts the workshop, headed by key resource speaker Carmen Diokno, of the Philippines, with Serely Alcaraz and Rita Goh. Opening the meeting, Abdulllah Rasheed, Regional Director of WOSM’s Asia-Pacific Region, briefly recalled the background and quoted from a letter received from Luc Panissod, Secretary General of WOSM. In his message, Mr Panissod had underlined the importance of the concept of Global Support and was pleased that a large number of volunteers and professionals had gathered to better familiarize themselves with the topic. 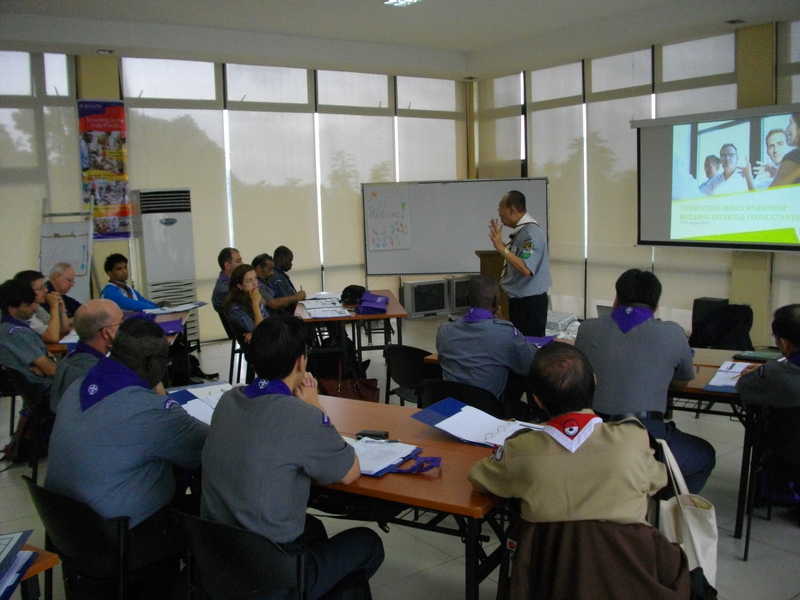 The exchange of experiences made and sharing of knowledge gathered in several Regions in similar support systems was very helpful and would bring new dimensions and opportunities to further improve WOSM’s services to NSOs. Find out more about WOSM’s Consulting Skills Workshop: Building Internal Consultants.